Oh how lovely! The RSPB are running Hen Harrier Safaris in Bowland. Go and watch the fabulous 'skydancers', explore the United Utilities Bowland estate with a local expert, who can reveal the fascinating wildlife and heritage that is hidden within this rugged and spectacular landscape. While you're there, you might like to ask about the appalling story of persecution behind this little jaunt. Not persecution of the harriers (although goodness knows how they will react to being treated as a fundraising spectacle). No, I'm talking about the persecution of loyal raptor workers who for years have devoted a large chunk of their lives to protecting these special birds.For an insight into the nastiness that's gone on behind the scenes, see the Raptor Politics blog here. The raptor workers' treatment at the hands of Natural England and the RSPB has been shoddy, to say the least. They've been pushed aside like a golden eagle in the way of a windfarm, in fact. I was invited by South Yorkshire Police to take part in Operation Dunlin, a major offensive against wildlife crime across the South Yorkshire area, overnight on Thursday 3rd-Friday 4th March. It was a fascinating insight into the nature of wildlife crime (at least in that area), the way police tackle it, and the problems they face. 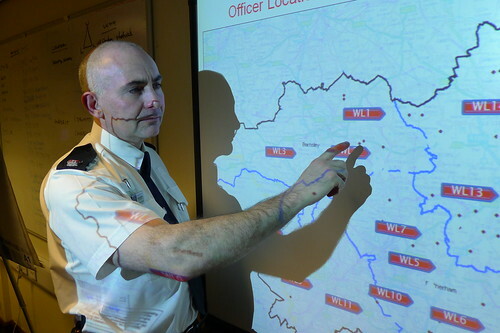 I'll write up the night's events separately, but here's a short audio interview with Superintendent David Hartley (pictured above), wildlife lead for South Yorkshire Police, and Silver Commander for the operation. He talks about the nature of wildlife crime in his area (mostly lamping with dogs on farmland), his relationship with local gamekeepers (valuable eyes and ears, and an important part of the rural community), the incidence of bird of prey persecution (virtually nil, except one case where a farmer, not a gamekeeper, was convicted of placing a poisoned carcase), and the use of the Hunting Act (irrelevant as regards foxhunting, but can be a useful tool against poachers lamping with dogs). The British Association for Shooting and Conservation (BASC), has commended the Scottish Parliament for passing sensible and functional legislation aimed at protecting Scotland’s wildlife. Under the Wildlife and Natural Environment (Scotland) Bill outdated game licences have been abolished, archaic poaching laws have been reformed and the practice of catching up game birds for breeding stock has been legally recognised. Vicarious liability, which will make the perpetrators of persistent raptor persecution accountable for the actions of their employees, is a measured and targeted approach to addressing wildlife crime. Snaring remains a legal practice in spite of an attempt to ban it. However further regulations have been brought in to ensure best practice. These include the use of tags and record keeping, as well as training and accreditation. 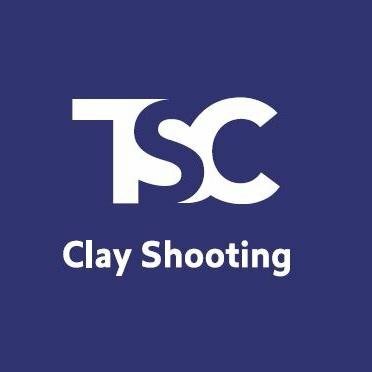 Several amendments which would have restricted shooting by introducing the power to remove shooting rights have been defeated. A proposal to transfer some police powers to other agencies, such as the Scottish SPCA, was withdrawn. BASC Scotland’s Nicolle Upton said: “BASC Scotland has been working tirelessly to ensure that this legislation would benefit shooting and gamekeeping. Unreasonable proposals to restrict deer stalking were dealt with at the consultation stage and the Bill as introduced was welcomed by shooters. The Bill has been a useful vehicle which has given MSPs the opportunity to see land management activities such as snaring in practice and to be briefed in depth on how the countryside actually works. As a result we have achieved something both sensible and workable." The outgoing Conservation Director of the Royal Society for the Protection of Birds stands accused of "irresponsible scaremongering" on the eve of the final stage hearing of the Wildlife and Natural Environment (WANE) Bill in the Scottish Parliament. In a carefully timed and deviously worded press release, embargoed for 00:01am on Wednesday 2 March 2010, the RSPB calls for a "vicarious liability" clause to be built into the WANE Bill, making landowners responsible for any illegal killing of birds of prey on their land. In the absence of hard evidence of illegal killing by gamekeepers, the release instead relies on inference and innuendo, suggesting that England's grouse moors could support 323 pairs of hen harriers. In a staggeringly unscientific leap of logic, they surmise that the 'missing' harriers must have been killed by gamekeepers. Applying the same logic to lowland farms, suburban gardens or RSPB reserves could see farmers, householders and RSPB wardens accused of wholesale slaughter of tree sparrows, song thrushes and... hen harriers. The RSPB release makes much of the discredited and flawed JNCC report. But it makes no mention of the serious work being undertaken to resolve the harrier grouse conflict - instead they disingenuously imply that the diversionary feeding study at Langholm is the only way forward. At a time when raptor workers, conservationists, gamekeepers and shooters agree that working together provides the best hope for hen harriers, the monolithic RSPB political lobbying machine is increasingly out of step with progressive conservationists, and insists on pursuing its outdated war on landownership. Insiders hope that this latest attack is the swansong of outgoing RSPB Conservation Director Mark Avery, due to retire in April. 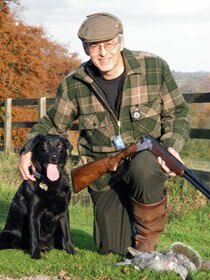 For years Avery has made overtures to shooting, suggesting he is keen to work with the industry, while using the RSPB's media department to condemn gamekeepers and shooting estates for all the hen harrier's problems in the UK. "Avery has singlehandedly undermined progress on harriers for years," said one. "Perhaps once he's gone we can really begin to get somewhere." The RSPB release also ignores the fact that more than 200 Scottish estates have condemned out of hand, any and all illegal poisoning of birds of prey (list here). Among other significant facts glossed over is that ALL the major shooting and landowning organisations have unequivocally condemned illegal killing - including the British Association for Shooting and Conservation (Scotland), the Scottish Countryside Alliance, the Scottish Gamekeepers Association, the Scottish Estates Business Group and the Scottish Rural Property and Business Association. The newly released results of the 2010 hen harrier survey have revealed a 20 per cent decline in the bird's UK population in the last six years. The hen harrier, one of our most spectacular birds of prey, is also the species most affected by illegal persecution, a fact reinforced by a recent review - the hen harrier framework - which concluded that illegal killing is the biggest single factor affecting the species, and that it is having a dramatic impact on the population in core parts of the hen harrier's range in northern England and Scotland. The latest results complement the findings of a 2008 survey which found that only five pairs of hen harriers nested successfully on high-intensity 'driven' grouse moors in Scotland and England, despite the fact that sufficient habitat exists for 500 pairs. The 2010 hen harrier survey recorded an estimated 646 pairs of hen harrier nesting in the UK and the Isle of Man. This is down from an estimated 806 pairs in 2004. Dr Mark Avery is the RSPB's Director of Conservation. He said: "The hen harrier is one of our most wonderful birds of prey, but it also the species most threatened by illegal persecution. Every year hen harriers are targeted on grouse moors across the UK and it is clear that this onslaught is having a significant impact on our population. We believe that gamekeepers are killing them illegally - under pressure from their land-owning masters. "The 2010 hen harrier survey backs up the findings of the government-commissioned hen harrier framework, which reported that persecution was the principal factor limiting this bird of prey's UK population. "Last year over 210,000 people signed up to our bird of prey campaign demanding an end to the illegal killing of birds of prey. With such a strong voice demanding change, it is deplorable that some within the grouse moor community continue to break the law and deny people the chance to see such a magnificent bird." With almost 500 pairs, Scotland has the vast majority of the UK hen harrier population. But here the decline has been even greater, falling over 21 per cent from an estimated 633 pairs in 2004. The survey recorded little change in England as the population rose from 11 pairs in 2004 to 12 last year. Estimates suggest there is potential for at least 323 pairs of hen harrier in England, so a dozen pairs represents less than four per cent of the potential, with illegal persecution being blamed for this huge difference. The hen harrier remains on the verge of extinction as a breeding species in England. In Scotland, the Wildlife and Natural Environment Bill, which is currently being debated, provides a great opportunity to take new steps to try and help save hen harriers. One option being looked at is making landowners legally responsible for the actions of their gamekeepers. Later this week, the meeting of the Partnership for Action against Wildlife Crime meeting will be addressed by Richard Benyon, Minister for the Natural Environment and Fisheries. Dr Mark Avery added: "We trust that the minister will agree with us that these results show that it's time to take decisive action in the struggle to protect threatened birds of prey. "Although more than 70 per cent of people convicted of bird of prey persecution in the last 20 years have been gamekeepers, in reality its often landowners who effectively force their employees to break the law. We believe that making landowners legally accountable for bird of prey crimes in Scotland and England is a vital step in the road to reducing persecution." Wales, where there are no grouse moors and very little recorded persecution of harriers, recorded a substantial increase, rising from 43 pairs in 2004 to 57 last year. Paul Irving, of the North England Raptor Forum, said: "As ever we are utterly appalled at the continuing tiny proportion of the potential harrier population found on moorland managed for grouse shooting. We believe this not only shows an utter contempt for this wonderful bird, but also it shows complete disregard for the law by game managers. That we have so far failed to change this reflects badly on us all. Dr Sian Whitehead, Countryside Council for Wales's Senior Ornithologist said "I am encouraged by the ongoing recovery in the Welsh hen harrier population, but we must not become complacent. Declines in the breeding population during the 1980s and early 1990s could be attributed, in part, to persecution, and it is encouraging that the situation has now changed. We must continue to ensure that the Welsh hen harrier is adequately protected, and the habitat for them managed appropriately, so that this iconic species of the Welsh uplands can continue to thrive." The 2010 hen harrier survey was funded by RSPB, Scottish Natural Heritage, Natural England and the Countryside Council for Wales. Additional support was provided by NIEA and many members of bird of prey study groups.